Currently Europe is allegedly under threat from “populist and neo-Nazi formations” and the only way to counter it is to stay united. In other words, there must be no EU reforms, no policy changes, those Brussels-based pooh-bahs will go on enjoying their serene lives tut-tutting about the nefarious plans of those who oppose them, and refugees will be free to pour in until the EU explodes. 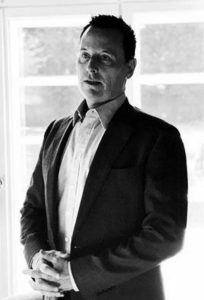 US Ambassador to Germany Richard Grenell (pictured). It sees no need to do anything about it. In June, the ambassador did not shy away from openly promising to use his office to help far-right nationalists inspired by Donald Trump take power across Europe! In an interview with Breitbart News, Richard Grenell said he was “excited” by the rise of far-right parties on the continent and wanted “to empower other conservatives throughout Europe, other leaders.” Those were his literal words! Hungary, the country of his birth, for interfering in politics. The “Soros network” has great influence in the European Parliament and in other European Union institutions. It’s an open secret that the billionaire is a vehicle used by the US State Department to meddle in other countries’ internal affairs. USAID and the Soros network often team up. Last year, six US senators signed a letter asking the State Department to look into government funding of Soros-backed organizations, but to no avail. The State Department always protects the financier. Last year, the “Soros list” was made public. 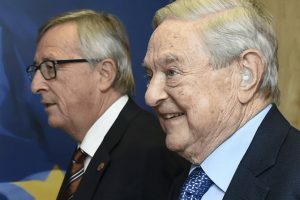 It contained the names of 226 MEPs from all sides of political spectrum who are eager to promote the ideas of Soros, such as the integration of Ukraine into the EU, and, of course, taking a stand against Russia. The lawmakers on the list hold roughly one-third of the seats in the European Parliament! They vote as they are told by the US tycoon. But no, this fact has been swept into the shadows. There is no threat to democracy, no negative impact on any elections — nothing to worry about. Can anybody imagine what would happen if it were revealed that a Russian oligarch with close ties to the government was keeping a list of “allied” European politicians? Europe is adamant about countering foreign influence and the “threat” coming from … Russia. The fact that one-third of MEPs are “allied” with George Soros is not a big thing. It’s Moscow’s alleged “meddling” that is keeping the EU leaders and media magnates from sleeping. Steve Bannon, a former adviser to President Trump, is pretty busy at present. He is in the process of setting up a non-profit Brussels-based foundation called The Movement to support right-wing anti-EU parties during the European Parliament races. The British Ukip party has already pledged to work with it. The short-term goal is to produce a European Parliament in which every third lawmaker belongs to a right-wing “supergroup,” so that it will be possible to disrupt parliamentary proceedings. “Right-wing populist nationalism is what will happen. That’s what will govern,” Steve Bannon told the Daily Beast. “You’re going to have individual nation states with their own identities, their own borders.” According to the source, “The operation is also supposed to serve as a link between Europe’s right-wing movements and the pro-Trump Freedom Caucus in the US.” He wants a well-financed, centralized operation in order to bring right-wingers together. The Daily Beast quotes Raheem Kassam, a former Breitbart editor, who said, “Forget your Merkels.” According to him, “Soros and Bannon are going to be the two biggest players in European politics for years to come.” What would Europeans say if a formerly highly placed Russian official with close ties to the president set up a political movement to openly influence the Old World’s political life?